For a full biography on Mary Black, read her autobiography Down the Crooked Road. 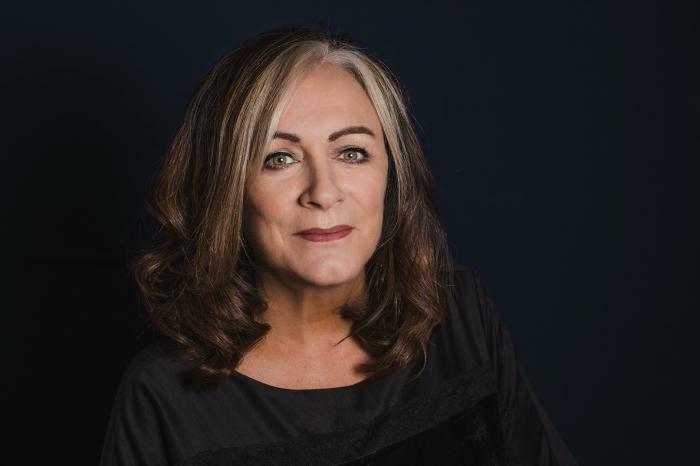 For the last quarter-century, singer Mary Black has been a dominant presence in Irish music, both at home and abroad. She has shared stages, tv shows and recording studios with some of the most revered performers of her time. She has also played a frontline role in bringing Irish music, past and present, to an increasingly appreciative and ever-growing global audience. The San Francisco Chronicle has described her as "One of the best interpretative singers around". At a time when less adventurous performers preferred to stick exclusively to the well-worn ballads from Ireland’s rich music heritage and the more obvious hits from contemporary writers, Mary explored the best work available from new composers and mined the rich seams they offered. That commitment to fresh material, combined with her unique interpretations of the songs she chooses, saw her release numerous albums that achieved platinum sales status and spawned countless hits. Indeed, one of Mary’s albums - No Frontiers - spent more than a year in the Irish Top 30! To the acclaim and awards Mary has received over the years from both the public and the critics must also be added the esteem she has generated from her fellow artists. 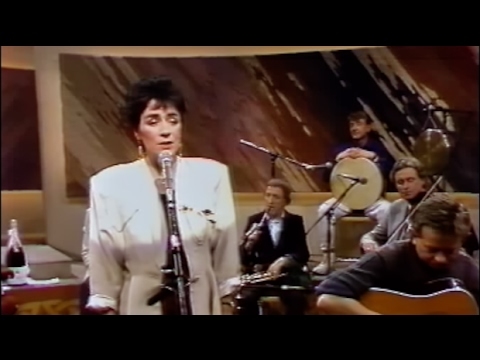 Indeed, many of them have recorded and performed live with her, including Emmylou Harris, Mary Chapin Carpenter, Joan Baez and Van Morrison, not to mention a host of Irish traditional musicians and singers. Along the way she has also recorded and performed with her siblings in The Black Family and with her highly successful sister Frances. Coming from an intensely musical family, with her mother a fine singer and her father an entertaining fiddle player, Mary first came to the music public’s attention in the late ‘70s as a member of the group General Humbert with whom she recorded and toured. In 1983 she teamed up with guitarist/producer Declan Sinnott (later to become Christy Moore’s musical sidekick) and released her eponymously-named debut solo album. It reached No. 4 in the Irish Charts and is ranked among the best Irish albums of the early 1980's. It won her the Irish Independent Arts Award for Music, the first in a staggering sequence of awards that continue to come her way. Mary then joined an early incarnation of the legendary Irish folk group De Danann, with whom she made two acclaimed albums. She re-united with Declan Sinnott (formerly of the pioneering Horslips) to record her second solo album Without the Fanfare in 1985. That album achieved gold sales status. 1987 saw the release of her first multi-platinum album By the Time it Gets Dark and lead to The Telegraph in the UK describing her voice as "serene and achingly beautiful". By now a household name throughout Ireland, she was named Entertainer of the Year in 1986 and Best Female Artist in 1987 and 1988. But her popularity reached a new level with the release of the pioneering album No Frontiers in 1989. It generated triple-platinum sales as Mary's reputation began spreading far beyond her native shores to Europe, Australia, Japan and the USA, thanks to her superb stage shows and the success of her recordings in those markets. Babes in the Wood came in 1991, arriving in the Irish charts in the No 1 slot, and was followed by two sell-out shows at London’s prestigious Royal Albert Hall. Her UK concerts prompted hugely positive reviews from The Guardian, The Times and The Telegraph. She was also featured on the cover of the US music trade Bible Billboard which described her as "a firm favorite to join the heavy-hitting ranks of such Irish artists as Enya, Sinéad O’Connor and Clannad's Máire Brennan in the international marketplace.” They were right. Not surprisingly, her next album The Holy Ground in 1993 went platinum on the day of its release, followed by five sell-out shows at the Point Theatre in Dublin to an audience of 20,000. Her next album Circus in 1995 entered the British top 20 album charts. But ever one to seek new challenges, Mary invited renowned American producer Larry Klein to produce her 1997 album Shine which she recorded in Los Angeles. In 2005 Mary moved to West Kerry to record her first studio album in six years, Full Tide. It not only included songs by some of her favourite writers such as Bob Dylan, but it saw her make her debut as a composer in her own right. As Hot Press magazine said of it, “Mary Black is just hitting her vocal prime, singing with a newfound ease and confidence”. 2008 marked the 25th anniversary of Mary's first solo album, and to celebrate the momentous occasion Mary released a special compilation double album 25 Years/25 Songs. It featured a personal, hand-picked selection of gems spanning Mary's career and it still serves as a testament to the extraordinary range and quality of both her vocal prowess and her astute song selection. Mary recorded two brand new songs for the project, and the album went straight to No. 1 in the Irish charts, where it remained for a staggering five weeks, spending over seven months in the Irish top 40! The British magazine What Hi-Fi? considers Mary Black's voice to be so pure that they have repeatedly used it for comparing the sound quality of different high fidelity systems. In an industry noted for its fickleness and its almost insatiable need for fresh novelties, Mary Black’s enduring successes have proven that her depth of talent and her love of singing transcend the generations, as well as national and musical boundaries too. She is indeed a real Irish treasure and her talent a gift from this small Ireland to a grateful world. An extensive discography of Mary's work can be found in the Discography section of this website.